- Our silicone ice cube trays are made of premium food-grade silicone, BPA free and FDA approved, you can rest assured that your ice cube trays will not crack or leak in the future. 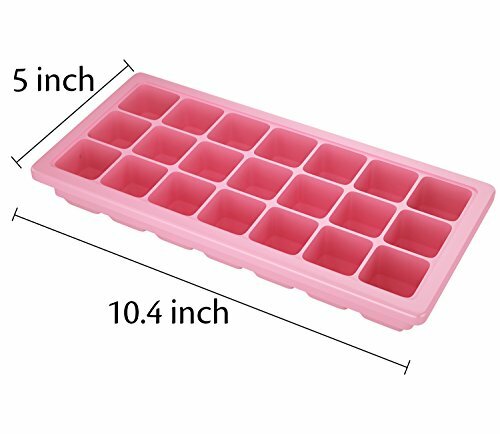 - There are 21 cube compartments each ice tray, which is separated, single cube dimensions 1.3 inches, perfectly sized for all beverage. Melt slowly and cool your drink fast with minimal dilution. 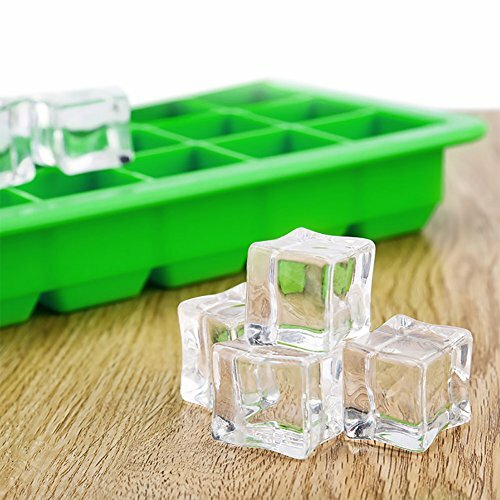 - Korlon ice cube trays covered with PP lids, keep your ice clean and free from freezer odors, easy to stack and save room in freezer, prevent leaking, help you make perfect shaped cubes. 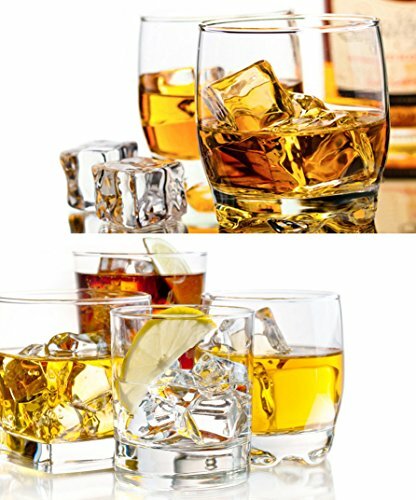 - These ice cube molds are perfect for baking or freezing anything. Use as an ice or chocolate mold. Great for baking brownie bites, cake, muffins, dog treats and more. Freeze baby food, cocktails, whiskey, juices, herbs and more. We have a no hassle 100% guarantee refund policy. If you use this and do not love it, simply return it for a full refund.You have nothing to lose. Consider picking up an extra one for more yummy treats or as a gift. 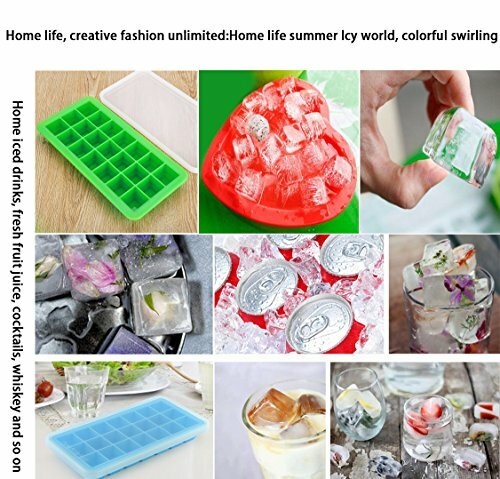 GREAT MATERIAL- Our silicone ice trays are made of premium food-grade silicone, you can assured that your silicone ice cube tray with lid will not crack or leak in the future. 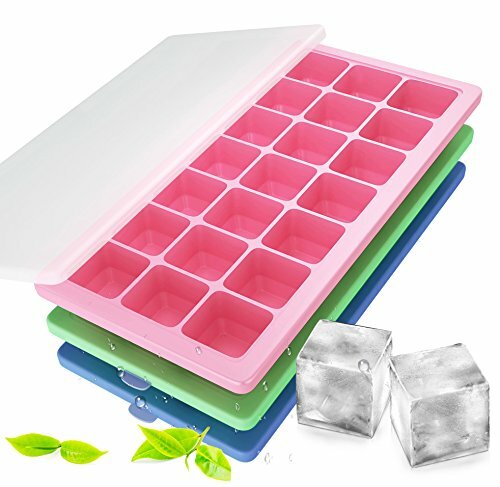 EASY TO RELEASE- There are 21 cube compartments each ice cube tray with lid, which is separated, single cube dimensions 1.3 inches, perfectly sized for all beverage. EASILY STACKING - Korlon ice cube trays covered with PP lids, keep your ice clean and free from freezer odors, easy to stack and save room in freezer, prevent leaking, help you make perfect shaped cubes. MULTIPLE USES - These ice cube molds are perfect for baking or freezing anything. Use as an ice or chocolate mold. Great for baking brownie bites, cake, muffins, dog treats and more. 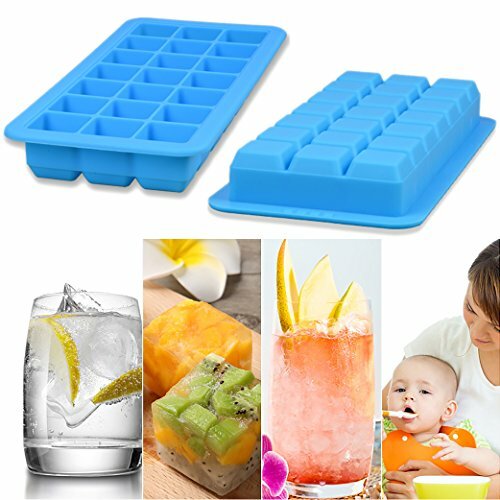 Freeze baby food, cocktails, whiskey, juices, and more. 100% SATISFACTION GUARANTEED - Customer satisfaction is our first priority. 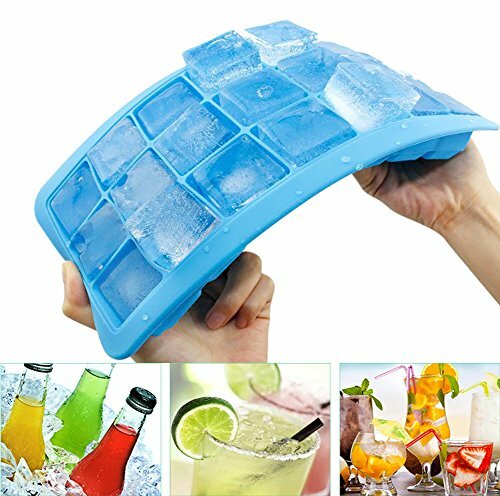 We guarantee you will love our ice tray with lid, that's why our product is backed with a 100% money back guarantee. If you are unsatisfied in any way with this product, we will refund your money, no questions asked.